If you are anything like my husband and I, you like to celebrate your anniversary on a budget. Over the years my husband and I have spent many wedding anniversaries apart due to him having served 5 year-long deployments in the middle East on behalf of the U.S. Army. These separations, have given us more insight as to why we should value every second we are able to spend with one another. Even when we were apart, we did our best to celebrate our wedding anniversary in creative ways to show one another how much we love each other. In addition to the wedding anniversaries apart, we have three precious children that we have to consider. Being a military family, there are a lot of transitional times where balance in the family cannot be upset so this has also caused times where we were unable to get away and celebrate. This, coupled with my extreme commitment to frugality have been the perfect breeding ground for coming up with creative, cost-efficient ways to celebrate our wedding anniversaries. On June 10, 2018, my husband and I celebrated our 18th wedding anniversary. This blissful event happened to come in the midst of an out-of-state business trip in a hotel room with the entire family. So once again, it was time to put our ingenuity to the test to figure out a way to celebrate our anniversary at home (well sort of….in a hotel…) and make it as cost-effective as possible. 1. Send your spouse on a scavenger hunt with lots of fun clues. You can do it in your own town or travel to other towns near (or far). If you do take your scavenger hunts on the road, be sure to use this DIY memory travel map to document your fun! 2. Dress in your Sunday’s best and take a stroll out on the town. While you might be dressed up with nowhere to go, you will still feel like a million bucks! There is something so romantic about being out with your spouse dressed to the nines! 3. Attend an open mic and have some fun with it! Even if you don’t participate, this is a fun one. 4. Go to a matinee movie or to a local dollar theater (if you have on in your town). We always enroll in the free movie club rewards clubs to rack up the points to earn free movies with the points from matinees. 5. Go out for coffee or breakfast instead of dinner. You’ll save a lot compared to going out to dinner. Although I don’t typically drink coffee, I still love this time with hubby and I enjoy decaf or tea instead. And my husband is a fan of breakfast 100% of the time. 6. Record a video using your webcam or cell phone telling your spouse what you appreciate about them. My husband and I have done this several times during deployments and it is such a wonderful memento to have! 7. Tour a local art gallery. It is always fun to take the time to learn a bit about the pieces they are showcasing. 9. Write a love letter for your spouse. Need some inspiration? Check out these 12 creative, already done love letters to give you a head start! 10. Serve your spouse breakfast in bed. Everyone likes to eat, right? Surprise your spouse with their favorite food(s) and beverage in bed! Want to make it even more special? Here is are some breakfast in bed printables for him and for her. This is always a hit! 11. Bury a box in your yard with some special inside. It could be a gift, a photo, or even just a sweet note inside. 12. Rent some movies at the Redbox and get some popcorn or other favorite snack to enjoy. 13. Buy a bottle of wine and some inexpensive paints, and paint! I have heard about people who pay others to do this, but I say, why not do it in the comfort of your own home and with your beloved?! 14. Go to a local high school or college sporting event. 15. Go to a free outdoor movie night or concert. 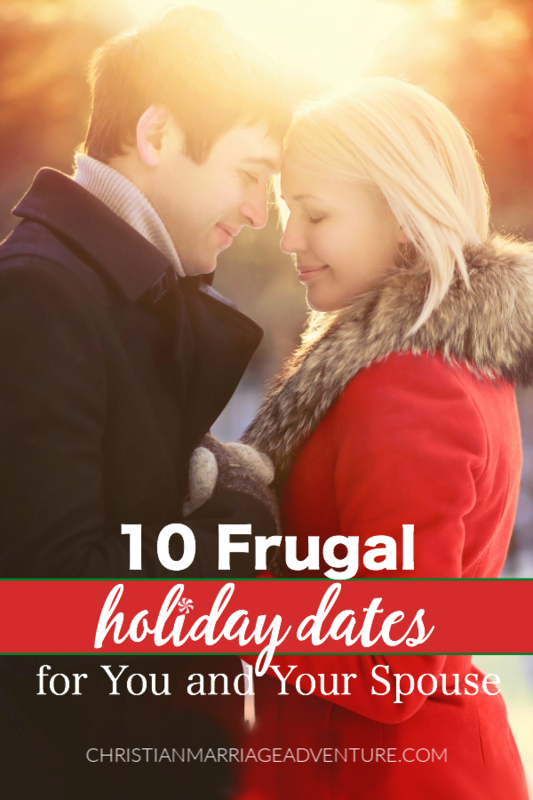 While there are limitless ways to save big and still celebrate your anniversary, I hope that some of the ways listed above get your creative juices flowing. Remember to always put your marriage as a top priority in your life and celebrating your anniversary is important. Don’t let circumstances allow you to neglect celebrating the wonderful union that you share. Where there is a will, there is a way! Always use Ebates when shopping online as they provide you with exclusive coupons as well as cash back to many online retailers. Always scour the local paper and ads for coupons. It is time well spent and will allow you to enjoy wonderful things for half the cost. In addition to the local newspaper, it is always wise to subscribe to your favorite stores and restaurants email lists to get great deals delivered to your inbox. Take advantage of buy one get one free offers and other deals throughout the year. What are some of your favorite ways to save money while celebrating your anniversary? Your 15 of celebrate wedding anniversary are really good and unique. ON anniversary someone everyone wants to celebrate his/her day with partner and wants to enjoy with him/her but, due to money problem some people cant not enjoy their day according his/her wishes. Your blog give excellent ideas to those kind of people so thank you very for share your ideas with us.